Households in the local area love our extensive range of basic and comprehensive Crouch End waste collection packages and can take advantage of all sorts of spectacular offers. The quick collection of unwanted boxes of books or clothes is easily arranged, as is the collection of piles of old furniture, white goods or electrical items. Our comprehensive rubbish removal N8 services can help with all of this and more, removing garden waste, builders rubble and other specialist items. So if you’re refurbishing a house or clearing it out ready for resale, don’t try and sort everything out alone. 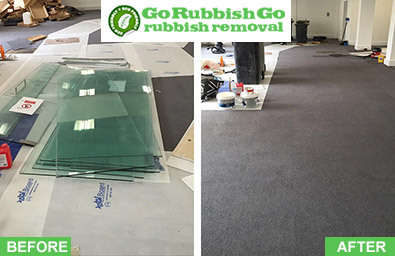 Go Rubbish Go are ready and waiting to assist and can make light work of any project! When it comes to cost-effective waste disposal Crouch End solutions there is no better firm to use than ours. With experts and state of the art vans, we can offer a comprehensive and innovative range of solutions. With our comprehensive recycling policy, you can even receive detailed information about your waste and your recycling levels. 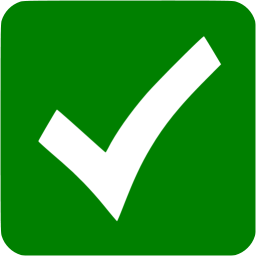 So if you want to make sure that your waste is dealt with in an effective and eco-friendly manner make sure you talk to an advisor on 020 8610 9182. 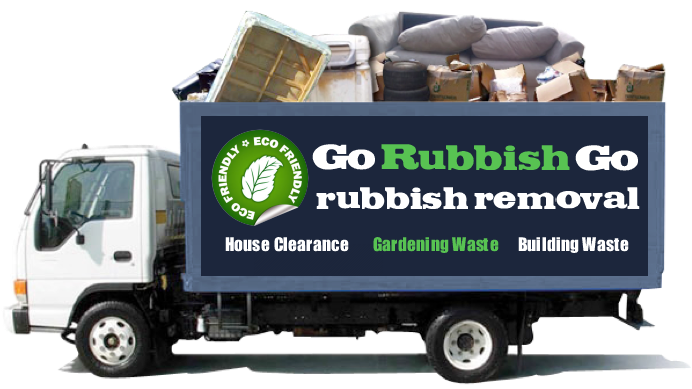 Our dedicated team can give you a free rubbish removal quote that is tailored to your specific needs. Book now and you will be offered a heavy discount! 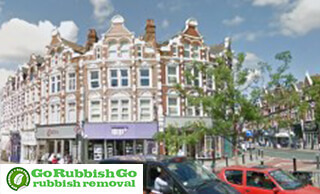 How Can We Do Your Waste Collection Chores in Crouch End? 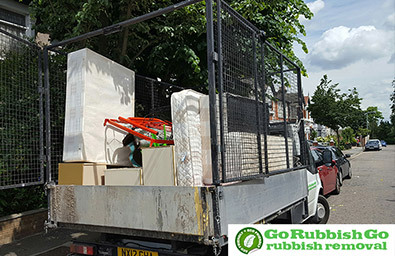 Our Crouch End rubbish removal N8 services are also popular with businesses and residential property owners in the local area, offering cost-effective solutions to households, offices, factories, retail outlets and service-based firms. With a dedicated team of waste removal Crouch End, N8 experts, we can organise the collection and disposal of any type of waste. Regular services or one-off deals can be arranged with our expert advisors, who can give you a free estimate over the phone in just a matter of minutes. Our recycling packages can even help you to meet your eco-friendly goals. So if you want to solve your disposal problems whilst still reaching your green targets, call Go Rubbish Go on 020 8610 9182 for a free consultation now! Can’t thank you enough for all the work you did at my house in Crouch End. Your rubbish clearance services have been a real saviour for me and have given me back all the free space I wanted at my N8 home. Thanks! Recycle, Reuse and Recondition – We believe that excess waste should be kept to a minimum and to help with this we always look to recycle, reuse or recondition anything that we collect. Keep Mileage Down – Our Crouch End rubbish disposal trucks are on the road every day and travel throughout the N8 area. By planning our routes and schedule to the finest of details we can make sure that our mileage and fuel emissions are kept to an absolute minimum. Hire our Crouch End waste removal N8 team and get rid of your waste the green way! Enjoy a Stress-Free N8 Rubbish Removal! We all need to have a clear-out from time to time. However, what you do with your unwanted junk can be a bit of a headache. That is why we offer competitive and affordable rubbish disposal Crouch End services throughout the area that can help you to get rid of all of your unwanted books, clothes and furniture pieces for good. So don’t leave things lying around for months when all you need to do is call us instead! Our services can save you from making multiple trips to the dump and can make your household clear-out 100% stress-free. Our Crouch End waste clearance services are also ideal for businesses in the local N8 area and can provide a cost-effective way of disposing of old files, furniture or electronic equipment. Book now by calling 020 8610 9182 and benefit from one of our special offers! Crouch End is located in the London Borough of Haringey in north London. One of the most notable buildings in the area is the Hornsey Town Hall which was the first major building in England to be constructed in the Modernist style. There are lots of primary schools in the area as well as three state secondary schools including Hornsey School for Girls, Highgate Wood School and Greig City Academy. There is also an amazing public library – Hornsey Library. It features a large book stock and offers also great variety of DVDs. It also provides access to meeting rooms and gallery exhibitions. Nearest areas are Harringay, Muswell Hill, Hornsey and Highgate.